This 2nd episode of the online series, Eastern Hospitality, is dedicated to the great saint and wonderworker, St. Nicholas of Myra (Feast Day: December 6th). This 4th century bishop is the patron of many things, including: sailors, merchants, archers, repentant thieves, children, and students in various cities and countries in Europe. We’ll be learning how to make special St. Nicholas cookies with special guests, Fr. Nick Rachford, from St. Nicholas parish in Lorain, Ohio, and Tricia Hartung, from St. Barbara’s Byzantine Prayer Community in Dayton, Ohio. We’ll show you how to make your own St. Nicholas cookie cutters from common Christmas tree cutters, as well as share with you information on the life of St. Nicholas the Wonderworker. 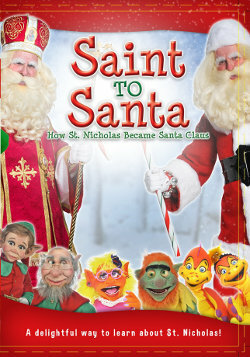 Watch for the appearance of our extra special guest, St. Nicholas, in this week’s episode of Eastern Hospitality!